Tilton brake fluids have been developed to withstand the high brake temperatures seen in racing. 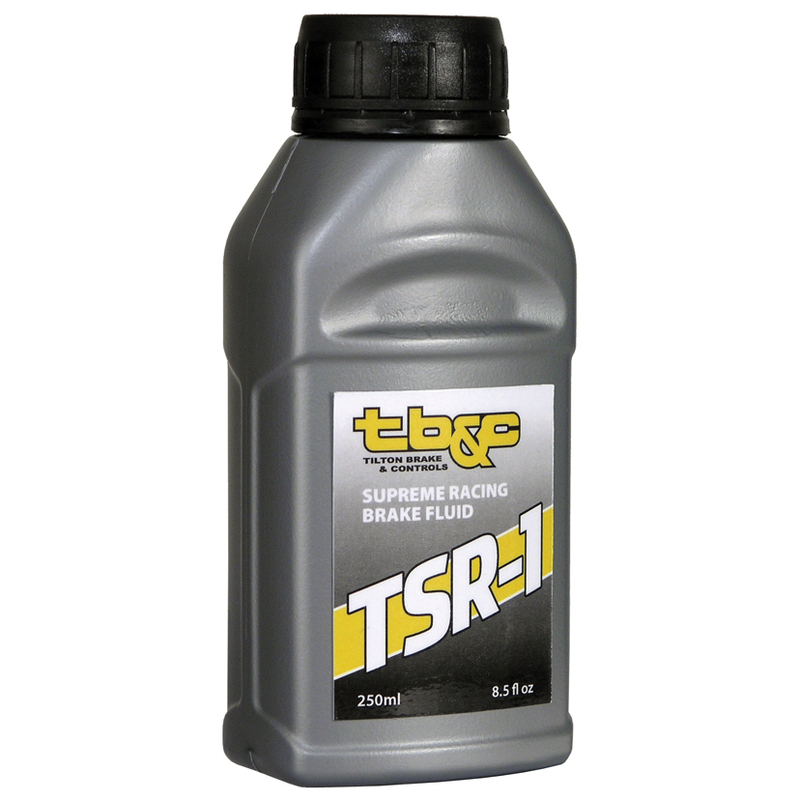 Both TSR-1 and TBR-1 fluids have a very high dry boiling point, maintain low compressibility and have good lubricity to promote long seal life. Tilton brake fluids are compatible with all conventional brake and clutch systems. Conforms to, and exceeds, the current U.S. FMVSS No. 116 DOT4 specification. 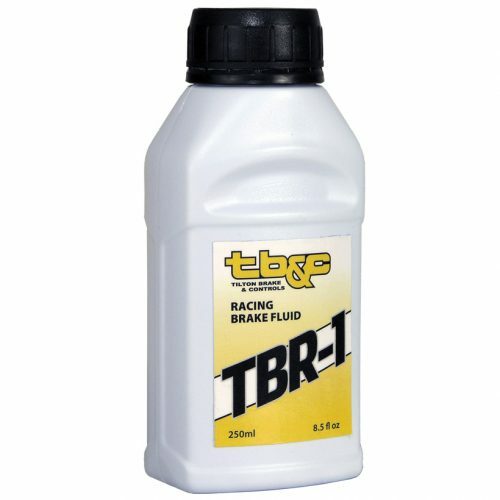 Unlike competitor’s 500ml and 1 Liter bottles, Tilton brake fluids are packaged in 250ml bottles, providing for less wasted fluid and eliminating partially used (unsealed) bottles. With larger bottles, there is a greater chance that a significant amount of fluid is left in the bottle, absorbing moisture from the atmosphere and ultimately lowering its boiling point.